Selling a home can be a stressful experience, and you often have to prepare your house for showings while planning your own move. Add in winter, and there are other factors to consider. Keep reading for some tips that could help make the process a bit easier. So, you have decided to sell up. However, it’s winter, and the weather is getting erratic — but don't let it deter you. Of course, you need to take precautions against hazards like icy roads, especially if you have children. But you can at least make packing a less onerous process. If you are unsure where to start, use YouTube. There are plenty of videos that offer tricks and tips about dealing with specific sets, like cutlery and shoes. If you have older children, they may also be able to help out. It's a way to involve them and make them less anxious about relocating. Moving is a stressful time, particularly for little ones. Do what you can to reassure them and keep them engaged. Should packing prove too much, you could bring in professional movers. That leaves you with one less task to handle. One way to enhance your home is by creating space. It makes rooms appear larger and helps with movement. Focus on traffic-heavy areas like the living room and kitchen. Do you have imposing furniture, such as a statement couch? Are your kitchen surfaces filled with appliances? These pieces can undermine your staging and are best put in storage. Personal items can also dilute space; think of wardrobes and cabinets full of old clothes. Even large decorations, paintings, and photographs can make corridors feel narrow, so pack them before you start any showings. They could be moved to your new house or put into storage. This may be upsetting to do before you move, but it can help your family emotionally prepare for the big event. Selling a home puts a lot of emphasis on appearance. Creating space is one facet of staging, but so is cultivating an inviting environment. The holidays are an opportunity to inject seasonal warmth into the home. However, an understated approach is best. Add lighting where appropriate, but don't do it too excess. If you have a fireplace, use it for its seasonal aesthetic and to add extra warmth. Choose decorations that complement rooms rather than define them. Small touches can bring cheer without overwhelming your home. Our yards go through a lot. They may be covered in leaves and snow, but chances are they also feature some unsightly debris. This makes a home less attractive and accessible to viewers. Instead of winter gloom, clear up your yard and make your home stand out. Update your door and mailbox with a fresh coat of paint, and counter a lack of flora with a display of seasonal-appropriate plants. At the very least, add lighting where you can. You want your facade to be bright and welcoming, but also safe. By lighting up walkways and your porch, you can achieve this. Consider lanterns by your doorway for a decorative touch. However you invest in curb appeal, remember that a strong first impression is valuable. Unfortunately, colder temperatures can expose home maintenance issues. You want your home to be in excellent condition, but it will be apparent if your heating system is faulty. So, it may be wise to bring in a professional to survey your home. They can safely spot issues that may not be visible to you, including loose shingles on roofs. Heavy snow and water can dislodge shingles, and that could cause structural damage and leaks. Our gutters are also vulnerable during this time; they need to be cleaned regularly, as clogged gutters can suffer from water buildup. These projects may sound costly, but they could help with a successful sale. Do what you can to ease your family's transition and ready your home for sale. Make packing less stressful and turn your property into the ideal open house. You may find that selling up in winter is the perfect present for you and your family. If you are a parent, life is probably a whirlwind adventure, and you are likely just trying to keep things moving. If you have to add on the sale of your house to your busy life with kids, you are probably feeling a bit of chaos and stress in trying to get your house in shape. This article will give you some useful tips on prepping your home for sale, as well as how to keep it clean and clutter-free throughout the process. The sale of a home requires constant and tedious cleanliness so that your home is more attractive to a potential buyer. Typically, with kids, the moment you clean a room, they will then destroy it. So, how do you find balance? Get the kids actively involved. Their involvement will not only keep the house tidier, but will also take some of the load off you. Have your kids clean up toys daily and give them their own cleaning bins with cleaning supplies that are age-appropriate. If the whole family is constantly putting away laundry, dusting, washing dishes, sweeping, vacuuming, and wiping down counters, those last-minute showings won’t feel so overwhelming. Anyone who has gone through the sale of a home knows that there is a certain amount of stress and unpredictability that goes with it. 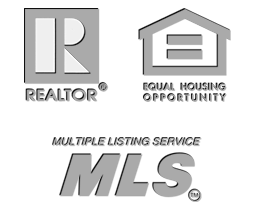 In an attempt to find a buyer and have the home sell quickly, you are at the mercy of realtors, buyers, various schedules, and spontaneous showings. You'll need to prepare for those times when you get a surprise call from your realtor informing you that a potential buyer is on the way to look at the house. A new vacuum may be the perfect tool for those hurried cleaning sessions. Bagged models are some of the most effective, because they catch all the dirtcatch all the dirt and debris that vacuuming stirs up and allow you to easily transfer it to the trash can. Before you even place your home on the market, you should tackle the clutter. Too much clutter prevents buyers from seeing your home’s potential and prevents them from imagining it as their home. You can make this a family event, where each person works on their own space. Each person can also be given “take,” “give,” and “throw away” bins, which will help you efficiently categorize and examine each item and determine where it should go. This step not only prepares your home for showings, but also will make your impending move smoother. Take the time to stage your home. You do not need to be a professional and get new furniture to make your home look presentable. In addition to decluttering, you can also start packing items you don’t need to clear out space and make the rooms look wider. Give your kids a designated toy area and give them some responsibility to keep their space tidy (an award system or chore chart may be beneficial here). Take a look at the furniture you have — perhaps a reconfiguration may open up your living space and create an inviting area. In staging your home, you want your house to look relatable and lived in, but also sophisticated and not too personalized. Parenting can be overwhelming in and of itself, even more so when you’re trying to keep a clean house while getting it ready to sell. Start by getting your kids involved; having them clean up their toys and participate in other household chores will go a long way. Invest in a quality vacuum cleaner to prepare for any last-minute showings that could pop up. Declutter the whole house to create a blank slate for potential buyers. Finally, stage your home to look relatable but sophisticated.